We knew the Hammerschmidtâ€™s werenâ€™t intended for XC or trail riding, but we thought it would be fun. Unfortunately, it wasnâ€™t fun- from the very first ride. The drag that the planetary gears created in the high gear made it impossible to live with. 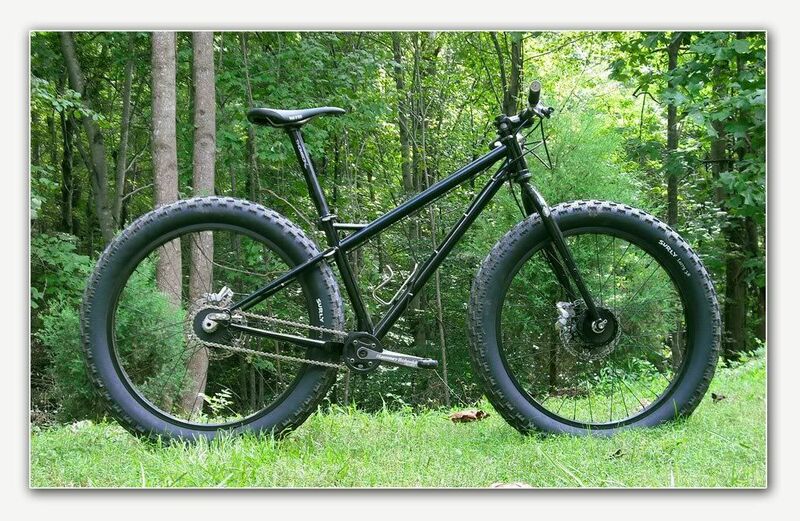 After riding a number of singlespeeds over the years, the drag on the HammerSchmidts was noticeable. It can definitely be felt physically, but I thought the more detrimental aspect of the drag was mental. When you are trying to turn your only big gear and you can feel the drag from the planetary gears in your legs from the first crank rotation, one gets discouraged quickly. My buddy had his off after only a couple rides. I stuck it out for longer but alas, I am finally taking the ‘Schmidts off. The granny gear works great and I guess if you are a Downhiller or All-Mountain guy, you could deal with the drag in the high gear because gravity would be on your side, but for our intended purpose it was just too hard. This is no fault of TruVativ though; they donâ€™t sell the HammerSchmidt as an XC product. The other problem we encountered using them out on the trails was that the 2 gear choices were too far apart. Again, I donâ€™t know how this translates to DH and AM but for XC/Trail use, thatâ€™s how I felt. Of course they are a little portly at 1623 grams including BB, but that isnâ€™t that big of a deal for the crowd that should be buying them. My only concern for DH/AM folks is that the cranks didnâ€™t feel particularly stiff. Maybe they are stiff and it was something else I was feeling, but the HammerSchmidts definitely felt vague in a way that was hard to describe. I would love to see a â€œtrailâ€ version of these come out in a lighter, stiffer incarnation, with more appropriate gear spacing. While Iâ€™m wishing on a star, Iâ€™d rather have any drag from the cranks be in my lowest gear and not in my highest. If there is someway to engineer that in, then Iâ€™m on board for another shot. Until I start riding DH or AM, Iâ€™ll leave these cranks to those capable riders. On a final note, my buddy has gears on the same bike now and it is his favorite bike in a long time- thatâ€™s saying something because he is a bike shop owner. Previous articleBikerumor Pic Of The Day: Hooray For Bicyclists! Thanks for the heads up. I’ve always thought it would be cool to have a 2 speed with the clean lines of a single and thought this was the way to go. Thanks for saving me the expense! My favorite setup is the MRP 1.X with 34T ring. Almost as quiet as an SS, great range of gears and the bike looks badass with a short cage rear der. Ditto on the heads up. I saw some other guy build one up and was curious about how nice it was.